Entries tagged with “Mark McCarthy”. Salt restaurant at The Ambassador Hotel has a most apt name, with its close proximity to the Atlantic Ocean in Bantry Bay. Earlier this week the restaurant hosted a most successful food and wine pairing gourmet evening, in conjunction with Dalla Cia wines and grappa. 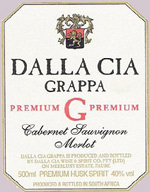 The Dalla Cia Sauvignon Blanc 2008 was served on arrival, followed by the Dalla Cia Chardonnay 2008 to accompany a most delicious goats’ cheese and butternut rotolo. The Dalla Cia Giorgio 2006 accompanied a roast quail, served with mushroom polenta. The main course was an excellent springbok pie in a fine two-coloured pastry, served with Dalla Cia Cabernet Sauvignon 2006. 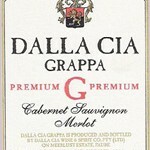 The pannacotta included grappa, and was served with the Dalla Cia Grappa. The wine offering was generous, with a top-up served per variety, and the evening was good value at R 350 per head. The nicest part of such an evening is the wonderful company one is lucky enough to enjoy. George Dalla Cia, and his charming Italian wife Elena, was a gracious host, and his distributor Mark McCarthy, and partner Tanja Schuermann, exchanged interesting information about new restaurant openings, and wine news. Lauren Newhouse, from the hotel’s PR company, was an entertaining and bubbly table companion.